Buy a rose now, and have happiness for even longer! Roses have always been a way to show your love and adoration for many types of relationships. All throughout time, it is a way to celebrate, a way to mourn, a way to show value to your loved ones. Our enchanted rose collection is the perfect gift that your loved ones can treasure forever! Roses have been growing on the Earth for 35 million years, and they continue to show meaning for many different things. When someone receives a rose, they know that they are loved and cared for. A rose can be a gift for a birthday, for a holiday, to celebrate an anniversary or to celebrate a life. An enchanted rose can be bought with engravings to deliver a message as well! With our enchanted roses, you will have a gift that will last you years to come. Our roses are naturally grown and then treated safely for preservation. This process will take your rose from being a momentary gift of joy and admiration to a magical gift that will last forever without sunlight or water. The Premium Enchanted Rose Collection comes with one of the highest grades of roses, and the dome has a shape to match the rose. This helps with the preservation to make it last even longer. Choose from a number of colors to represent a particular meaning or simply because it’s their favorite. Choose to engrave a special meaning in the dome. Our roses when left inside the dome will last year after year, however it can be removed from the dome as well. The dome glass will help preserve it from any dirt or dust particles keeping it beautiful and fresh forever. When you want to give a gift that will last in their memories, that will stand out as one of the best gifts they have ever received, the Enchanted Rose is the gift to give. 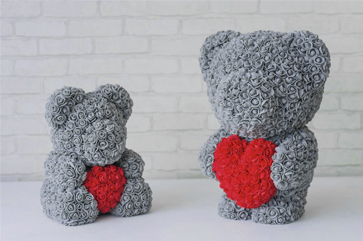 This one-of-a-kind rose will never be copied, and your loved ones will feel unique and special. We know how important it is to stand out with a gift that is as luxurious as it is beautiful. This is why our roses and the domes they are placed in are made with only the highest quality. 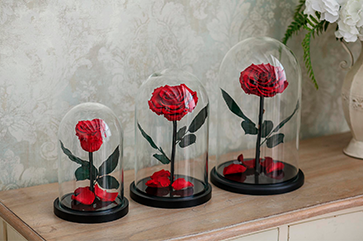 Our roses are taken care of from the time they are placed into the ground to grow naturally until they are preserved and placed in the glass dome. 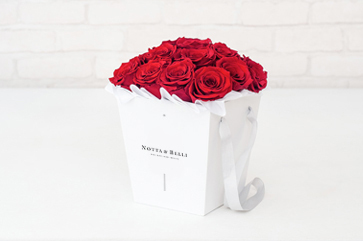 We maintain proper packaging to ensure that your rose will be sent to you in perfect condition. 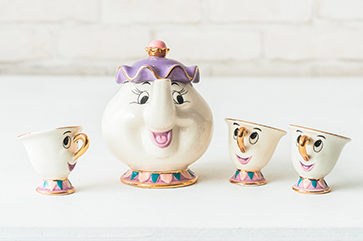 Buy your loved one a gift they will be proud to display and one they will love to look at forever!